Mark your calendars, Thursday, April 12, Plymouth Church, 6:30pm. We are very excited to be hosting the UK's Robert Cohen, speaking on the topic, "It's kosher to boycott: A Jewish journey to Palestinian solidarity." Act justly, love kindness, walk humbly. Rescuing the Hebrew Covenant one blog post at a time. Robert is one of the leading dissident Jewish voices on Israel-Palestine in the UK, taking a firmly Jewish but anti-Zionist position – “Our relationship with the Palestinian people is the greatest challenge facing Jews and Judaism in the 21st century.” Robert spent ten years as a reporter/producer for BBC news; he serves as a trustee for Amos Trustand is an adviser to Sabeel-Kairos UK. 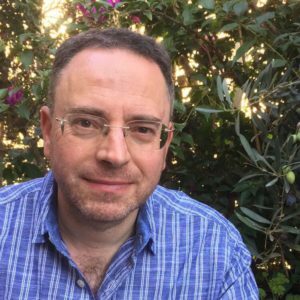 Robert writes a monthly blog for Patheos (‘Writing from the Edge’) and is regularly featured by Jews for Justice for Palestinians in the UK and at Mondoweiss in the US. We are delighted to be hosting Robert next month, friends. Please plan to come and bring a friend.